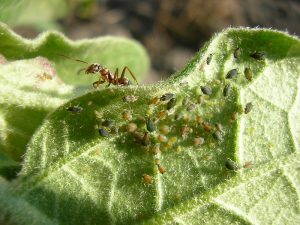 Aphids & Spider Mites are the most common and damaging insect pests on garden plants. They feed on the leaves sap and distribute in colonies. Aphids adults can be found in black, brown, gray, light green, yellow, white or even pink! 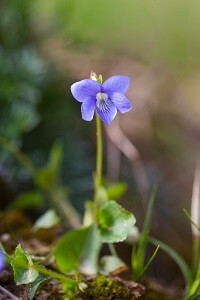 They are under ¼-inch and almost invisible to the human eye. Their bodies are pear-shaped with long antennae; the nymphs look like adults. 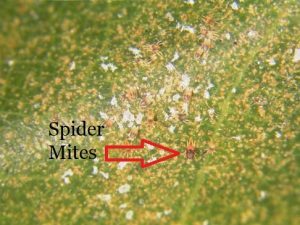 Spider mites are troublesome arachnids. The adults are pale in color or reddish brown and have oval-shaped bodies of 1/50 inch size. Immature mites are smaller but very similar to the adults. These tiny uninvited pests can quickly wreak havoc on indoor and outdoor gardens. Here are simple guidelines to stop them from ruining your plants. With the help of a hand lens, carefully search a few leaves on each plant. If you spot these invaders, treat your plants as soon as can. Scout for aphids at the buds, flowers, leaves, tips, and along the stems. If you find “skins” and sticky honeydew it is a red flag of aphid infestation. Spider mites will be feeding on the undersides of leaves. Spray cold water on the leaves which will cause them to go away. Normally they are unable to find their way back to the same plant. 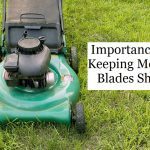 Apply insecticidal soaps, horticultural oils, and neem oil. Follow the instructions provided on the product packaging. Eliminate aphids by spraying the leaves with a mix of one-quart water, one teaspoon of liquid dish soap, and a pinch of cayenne pepper. Do this every three days for 2 weeks. Isolate the plant and then spray the leaves and stems of the plant with pressure water. Introduce natural predators like ladybugs, minute pirate bugs, big-eyed bugs and other parasitic mites such as those on the Phytoseiulus. Use neem oil or insecticidal oil. Apply potassium-based insecticidal soaps and pyrethrin’s sprays or miticides. With this simple guide, now you will be prepared when Aphids & Spider Mites attack! Early detection is the most important step in control of these pesky insects/arachnids. 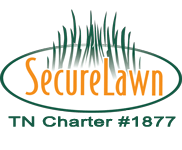 If you have already established colonies, call the experts from Secure Lawn at 615-893-8455. 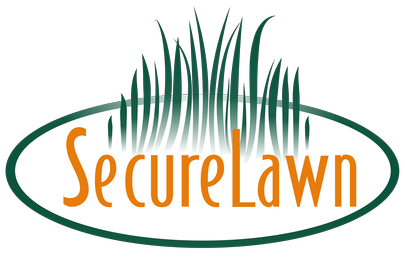 We offer management strategies that consider the fast development time of pests.